Home | Who are we | Why a local guide?? 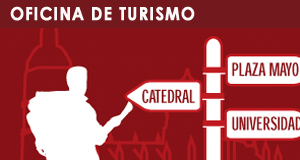 We are professional guides and licensed by the Government of Castile and Leon, to practice our profession in Salamanca and its Province. Our experience in the tourism sector, allows us to offer an exclusive visit and adapted to the needs and demands of the customer. The local guide is the perfect person you need to could know every detail of a city. We are the perfect joint between the city and the visitor. Only with your local guide you will know every detail, every curiosity thoroughly. Let's contract a local guide and allow you to discover the history, the culture and curiosities that contain the different stones of their buildings and the streets of our city.